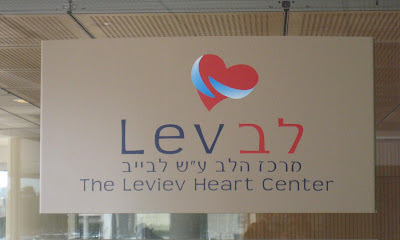 My dear friend Ari has been somewhat confused by my levavot blog for quite a while. As a psychiatrist he likes for things to make sense, and well, this project is completely from the heart - one must feel it to have it make any sense. I love that Ari stretched from his familiar ground and allowed himself to play in the land of levavot! This heart proves that a heart can have fun just about anywhere.